I grew up in New York City, so all of my childhood dreams involved being in nature and discovering/catching small wild animals for pets. I remember once a naturalist on a field trip told us that salamanders and newts can be found under fallen logs. I turned over *every* log I saw after that. Flash forward 30 years to parenthood, living in Berkeley, turning over a stump in our yard and finding a SALAMANDER! Suffice it to say I was way more excited than my children. When we moved in to our house there was a lily pond with gold fish in our garden. With three children to care for and no gardening experience, I had no idea what to do with it. The goldfish passed on(I never saw a corpse so I’m blaming raccoons), and I started dreaming of having a frog pond instead. Because frogs and salamanders in the yard? My parenting work would be done. 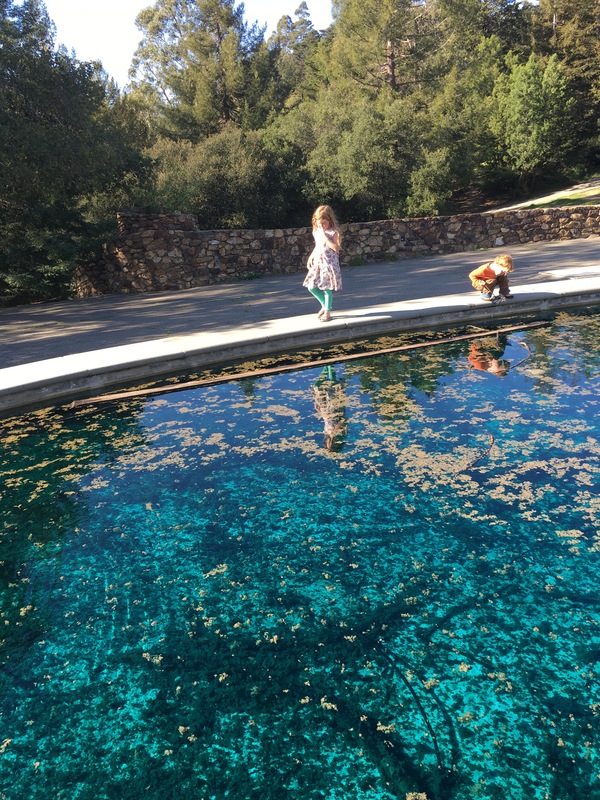 So last year when a friend told us about a neglected reflecting pool in a nearby park that had become a home to frogs and tadpoles, the kids and I went to take a look. 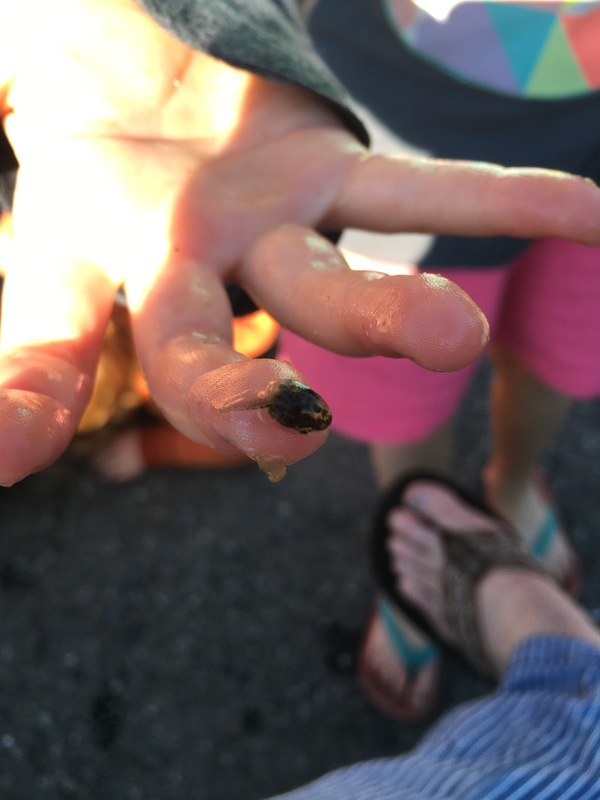 We captured a bunch of tiny frogs, polliwogs and tadpoles, acclimated them to the water in our pond and set them free. We saw them for a week or two, then nothing! But I had faith they would return in the spring. And just a few days ago we heard it- nocturnal amphibian music coming from the yard- a frog came back! So of course we had to visit the reflecting pool and bring him some friends. 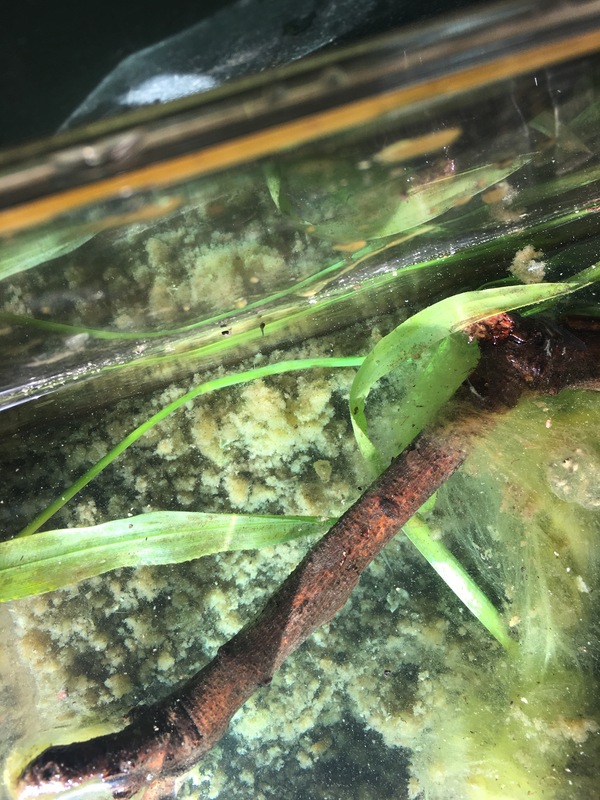 What’s amazing this year is that we went early enough to bring home the beginning of the life cycle in our little plastic carrier- eggs, tiny tadpoles, slightly larger ones and one mature frog. 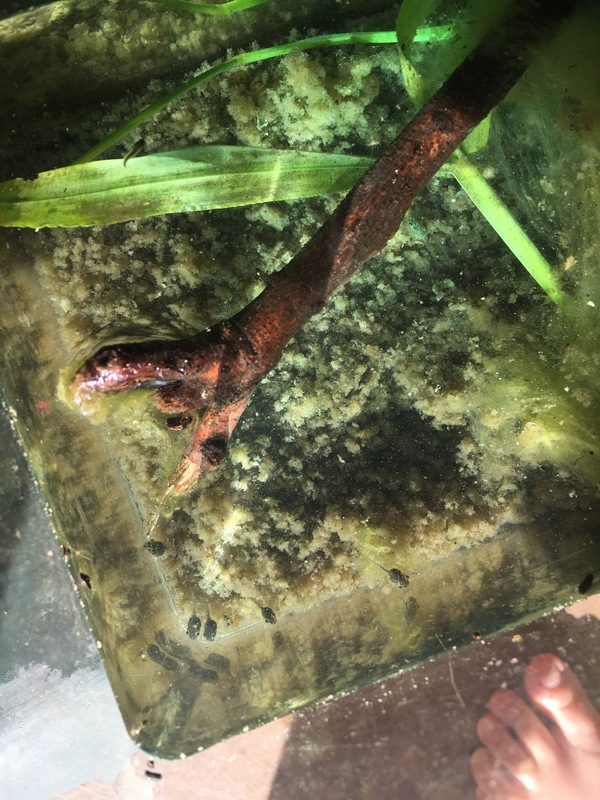 We’ll keep the little guys in our habitat to watch them grow into polliwogs, then let them go in the pond in the hope that some of them will hang around, or come back to us next spring.